Spoilers! If you aren’t up-to-date with Outlander don’t read this. But also, if you’re not up-to-date with Outlander, don’t read anything! Go catch up on Outlander! Recommended for Time-travelling Bishes, Outlander Observesses, Historical Linguistics Hunnies, and American Dialect Divas. Hunky 1770s Scotsman Jamie lounges on an armchair smoldering seductively. This series is about the Starz melodrama Outlander, based on the books by Diana Gabaldon, about a woman from the 1970s who time travels to the 1770s to be with her hunky Scottish beau. If you don’t care about any of that, but are interested in learning about early American English, you’ll do fine. Posts 1-4 in the series discuss what we know about how early Americans spake. But I really think you should watch Outlander though. Last time we learned that the Royalists gave Virginia and the Carolinas their distinctive dialect and that Outlander producers don’t care out that. This time we’re going to look at the third and fourth groups of English speakers to arrive in America. This information is from online resources compiled by historical linguist Prof. Edward Vajda at Western Washington University. The third group of colonists were the Quakers. I’m not going to talk about them since there isn’t any overlap with Outlander. But here’s a table of the features of their dialect anyway. rounded [Å] in words such as caught, saw. Feature 2: Also, the pronunciation of [E] instead of [œ] in bad, and, sack, etc. Feature 3: Retention of the syllable final [r] in all places. chicken breast/leg =white meat, dark meat. The last group was the Scot-Irish. This dialect had a huge impact on general American English. It’s also the exact demographic in Outlander. Murtagh and all his friends are these Scots-Irish colonizers, so we should be seeing a lot of this dialect. However, in the show, Murtagh’s compatriots all appear to be recent arrivals to America. 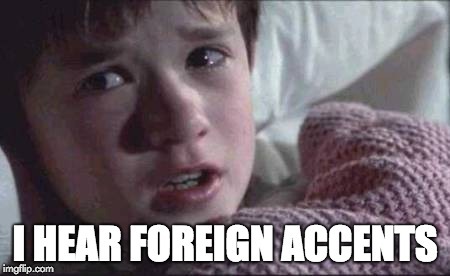 They sound more old world than new. Here is a list of features we could expect to see. Feature 5: Verbing nouns and nouning verbs: She prettied herself up, I’ll muscle it up, He daddied that child. belly (very hungry), fixin to, pert near, afeared, beholden, took sick, upped an, swan, swanny (swear), golly, dad blamed. Influence: Rural midwest English (because they helped colonize the midwest), and rural southern English. As you can see, there are a lot of fun and distinctive dialectal features to choose from. And yet, I don’t recall any of Murtagh’s friends using any of these. Again, this really seems like a missed opportunity. Murtagh’s buddy: I’m afeared hit’s pert near faster ‘n greased lightning! Murtagh’s buddy: Yorn kin folks are tuckered out. Obviously, the writers of Outlander should give me a call. Anyways, it wasn’t until after the Revolutionary War that General American really got going. Western expansion leveled out a lot of the distinctive features of the various east coast dialects from the mid-Atlantic to the Ohio valley. One of the biggest features of General American, which we can thank the Scots-Irish for, is that final [r] sound, which they never dropped. Exhilarated by battle, Murtagh throws a coy “You’re welcome” over his shoulder. To recap, we learned that American English was well on its way when Claire and Jamie showed up. It had some unique dialectal features thanks to 4 main groups of colonizers, but also a lot of leveling and uniformity between those groups. So while the depiction of the Americans in Outlander might not be too far off, it is unclear in the show’s portrayal of that time, who is a recent colonizer and who is new-world-born and raised. I suppose I can’t fault the show for that. 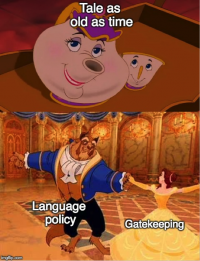 Rather than showing anachronistic, or inaccurate accents, the show decided to mostly skip dialect opportunities and focus more on the settlers. And maybe that’s for the best. Hunky 1770s beau, Jamie, leans against a wall with a devilish smirk upon his visage. If you missed Posts 1 and 2 of this series, follow this link to go back and read them. If you’re not sure why I’m writing about Outlander, maybe the introduction to the series will help? Stephen Bonnet roguishly and sardonically claims that it is a pleasure to see you again. Last time we learned that the Puritans gave Boston its distinctive dialect and that Brianna definitely doesn’t have it. This time we’re going to look at the second group of English speakers to arrive in America. This information is from online resources compiled by historical linguist Prof. Edward Vajda at Western Washington University. The Royalists (or “Cavaliers”) came from south and southwest England and settled in Virginia and the Carolinas. This should be the accent we see the most in Outlander’s Americans. It’s too bad we don’t meet that many of them. Capt. Stephen Bonnet sagely declares “a wise man leaves the things beyond his power to the gods. We learned in Post 1 of this series that colonists moved around a lot and so there was a lot of dialect levelling. That’s when everyone mixes together and starts to sound more similar. This is one of the reasons that early American English was relatively uniform. However, in theory, George Washington, growing up in Virginia would have been more under the influence of this Royalist dialect than any other. The features of this one include that distinctive drawl, loss of Ds and Ts at the end of words (like I tol’ you instead of I told you), and emphasis on the first syllable of words like GUI-tar. And yet, our brief meeting with young George did not reveal any of these features. influenced the speech of southern whites right back. Shared features: Loss of final t, d after another consonant: Use of double negatives, ain’t, as in early English. Loss of ng: somethin‘, nothin‘, etc. aspect particle + English ‘done’). Again, we don’t get to meet a ton of Americans on the show and that feels like a missed opportunity. The only chances we got were the night Claire and Jamie went to the theatah and at Aunt Jocasta’s dinner party to set Brianna up with man. I didn’t notice any of these features in the Americans we met. Did you? Maybe they were all recent transplants and not really locals. The only black people who get any screen time are Aunt Jocasta’s house slaves, Phaedra and Ulysses. Phaedra has an inexplicable Scottish accent. Even if she learned English from her owner in the house, she’s not a person in a vacuum. I find it hard to believe that she’d go full Scots. She probably would have been influenced by growing up around Ulysses who doesn’t have a Scottish accent or a southern drawl. Maybe I’m asking too much here, but a few southern American accents and early Black American English here and there would have really set the scene. Next time on Investigating Outlander’s Americans – Post 4, we’ll look at the Quakers and the Appalachians, arguably the most important influence on American English and what we should see most of on the show. Grimy Stephen Bonnet bows mockingly and bids us adieu. Longmore, Paul K. “‘Good English without Idiom or Tone’: The Colonial Origins of American Speech.” Journal of Interdisciplinary History, vol. 37, no. 4, 2007, pp. 513–542., doi:10.1162/jinh.2007.37.4.513. Luu, Chi. “When Did Colonial America Gain Linguistic Independence?” Jstor Daily, Jstor, 4 July 2017, daily.jstor.org/colonial-america-gain-linguistic-independence/. S, R. “Accents and Anachronisms: What Did People Sound like in 18th Century America?” TURN to a Historian, 4 May 2015, spycurious.wordpress.com/2015/05/04/accents-and-anachronisms-what-did-people-sound-like-in-18th-century-america/. Vajda, Edwards “The Dialects of American English.” Linguistics 201: The Origin of Language, pandora.cii.wwu.edu/vajda/ling201/test3materials/AmericanDialects.htm. Hunky 1770’s beau, Jamie, leans sulkily and sweatily against a wall baring his sculpted pecs. This series is about the Starz melodrama Outlander, based on the books by Diana Gabaldon, about a woman from the 1970s who time travels to the 1770s to be with her hunky Scottish beau. If you don’t care about any of that, but are interested in learning about early American English, you’ll do fine. This series discusses what we know about how early Americans spake. But I really think you should watch Outlander though. If you missed Post 1 of this series, follow this link to go back and read it. If you’re not sure why I’m writing about Outlander, maybe the introduction to the series will help? Sir John Grey blushingly confesses how good it is to see you. Last time we learned that the American accent in 1770 was definitely a thing, but it wasn’t too far off from British dialects. We also learned that because they were all wandering around and class mixing, their speech wasn’t a marker of social status in the same way it had been in the old world. For example, “Paul K. Longmore’s “Good English without Idiom or Tone”: The Colonial Origins of American Speech notes that many colonists pronounced “cover as kivver, engine as ingine, yesterday as yisterday, yes as yis, and Sarah as Sary.” While these would have been low class pronunciations in England, colonial Americans didn’t care about all that baloney anymore. Ya, but what did they sound like?? 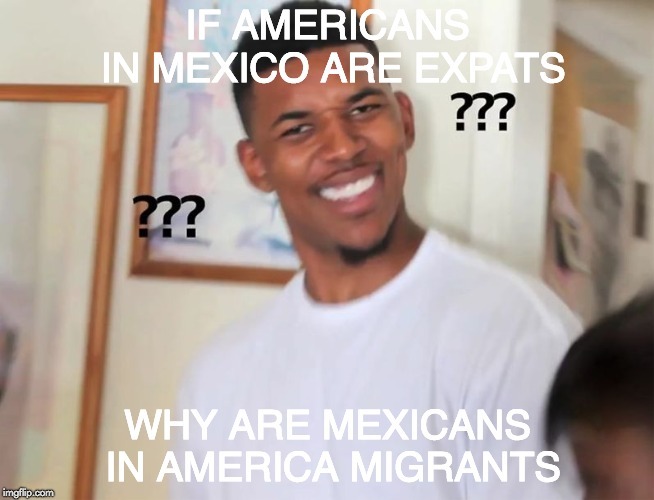 I know, but we can’t ever really know for sure for sure. On Spycurious, a website devoted to a show called TURN: Washington’s Spies, contributor, ‘RS’, points to sources that claim that there were different American dialects then as there are now. He points out that colonists had a relatively sparse education despite fairly high rates of literacy and due to this (and fewer spelling conventions) people often spelled phonetically. This is a great clue. Another great clue from RS is David Hackett’s book about Paul Revere’s life and the letters of the time which show the characteristics of the modern Boston accent we’ve come to know and feel some kind of way about. So there was the beginning of a Boston accent, was there? I had to learn more. Sir John Grey, his interest piqued, suspects there is more to this story. So I found online resources compiled by historical linguist, Prof. Edward Vajda, at Western Washington University. He said that there were four main migrations of English speaking people to American before 1776. I will tell you about one of those migrations now, but you’ll have to wait for future posts to read about the other 3. The first were the Puritans starting in 1629. They came from East Anglia to Massachusetts and gave us the Bostonian dialect. 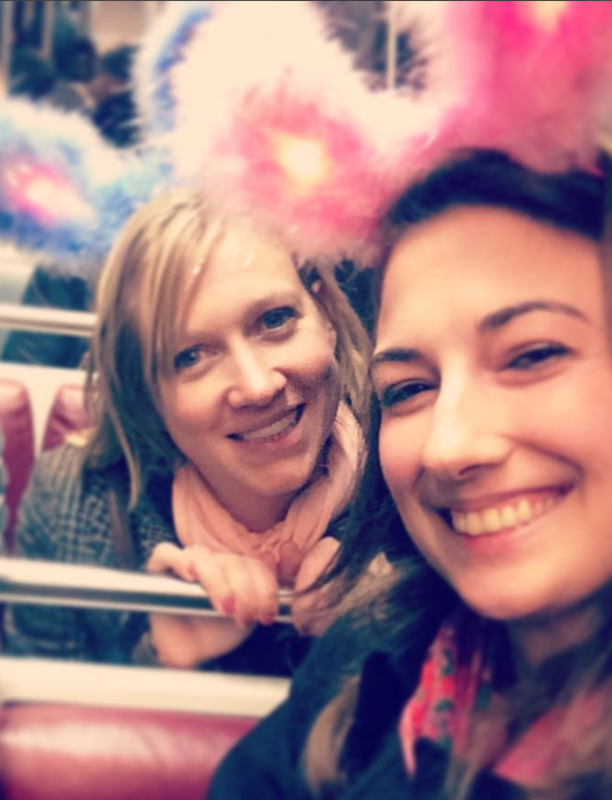 This is interesting because Claire keeps telling everyone that she’d been in Boston for the last 20 years, and Brianna is a true Bostonian native, and no one’s like, really? You don’t sound like it. Here are a list of the features from Prof. Vajda that Claire and Bri totally don’t have. sound. Deleted R at the end of syllables. These are all features of the distinctive modern Bostonian dialect too and yet Brianna and Claire don’t have any of them. And fine, Claire’s a Brit and so was Frank, so Brianna wouldn’t have all of them, but would she really believably have none at all? And, if she lacks all Bostonian features because her parents are English, she would definitely have a couple Britishisms like “at the weekend” or “the loo” or something. But nah, she just speaks general, standard, non-regional American English. Now that’s something to think about. Brianna and Sir John Grey look anxiously at each other. They know we’re on to them! Next time on Investigating Outlander’s Americans – Post 3, I’ll tell you about the second group of immigrants that shaped American English. A shirtless hunky 1770’s beau, Jamie, looks dangerously at his foes. If you missed the introduction to the series follow this link to go back and read it. If you’re not sure why I’m writing about Outlander, it might help? It is canon in TV Land that all period pieces use various English accents to show The Past and it would truly be jarring to viewers to aim for linguistic accuracy. I get it and I’m fine with it. However, from Outlander’s season four premier America the Beautiful, I couldn’t stop wondering “Is this American accent anachronistic?” Was there already a distinct dialectal difference between England and the New World before America was even a thing? Sure there had been several generations of colonists living in what was to become America, but wasn’t there some pop-linguistics circulating that claimed that colonists preserved their English more than their compatriots back home? And that British English changed faster than American English and so the English in the present-day colonies is actually closer to Shakespearean English than that spoken in modern UK? Young Ian adorably proclaims that he’s tired of our blethering. This long list of questions spurred me to the world wide web for answers. The first source I found about this is my favorite contributor to JSTOR DAILY, Chi Luu. She asserts that there was a distinct American dialect of English by Outlander times. She also points out that it was actually viewed with approval. This is surprising due to the low-key insecurity speakers of American English have when compared to many UK English dialects. So when Claire meets a young George Washington at a party, and his English is sort of East-coast-boarding-school-proper, it might be accurate. Outlander’s young George Washington tells us he spent his youth in Virginia. Another weird thing from that time, is that one couldn’t easily guess where a colonist was from by the way they talked. One piece of evidence for this is that there are wanted ads for escaped indentured servants from the UK that include which UK dialect they spoke. This shows that their speech stood out against the standard American dialect of the time (Luu, 2017). As we know from Outlander, colonists had to move around a lot for colonizing reasons. You know, like when you sell your daughter’s husband to the first Indigenous people you see and they march him up to New York and then your daughter’s like, “But I wanted to keep him!” and then you have to go all the way up there and try to buy him back? Brianna tells us that we don’t know what her feelings are. They also had to continuously interact with other colonizers of all classes. Back home, they might have stayed within linguistic boundaries, but that was not an option in the New World. Outlander’s scenes of Wilmington show people class-mixing all over town! That’s an environment ripe for linguistic leveling. This is a phenomenon I touched on in Joining the Western Region: Sociophonetic Shift in Victoria. So what did it actually sound like though? We don’t and can’t really know for sure, but apparently it was still very similar to British English. I’ll tell you more about that next time on Investigating Outlander’s Americans – Post 2. Like any good Outlander fan, I have a healthy dose of skepticism for the portrayal of the 1700’s. Of course, I’m not an historian- I wholeheartedly believed Roger’s teal and mustard-colored, velveteen shants-suit was historically inaccurate, but come on. That guy looked ridiculous. But it turns out that the outfit was accurate and it motivated me to do some real research on some of my other questions about the show’s portrayal of the time. Why does Fergus have a lingering French accent despite being adopted to Scotland before puberty? How did Young Iain acquire Cherokee so quickly? Why does Phaedra, a slave in North Carolina, have a Scottish English accent? Why aren’t Claire, Brie, or Roger ever once questioned about their modern British, American, and Scottish English dialects? It would be so hard not to drop modern slang all over the 1700’s! Finally, are the American accents in the show anachronistic? While these are all questions worth answering, for this series I’m only going to attempt to answer question 5. So without further ado, please enjoy Investigating Outlander’s Americans – Post 1. Jenny scoldingly declares that ’tis a fool’s errand. Paper Drags: Do Linguistic Structures Affect Human Capital? In case you’ve been off linguistics Twitter for the last week, you should know that it coniptioned last Wednesday. This is what happened. A study was dropped (ya, academics drop papers) that claimed that in countries where the dominant language allowed pronouns to be omitted, education suffered. 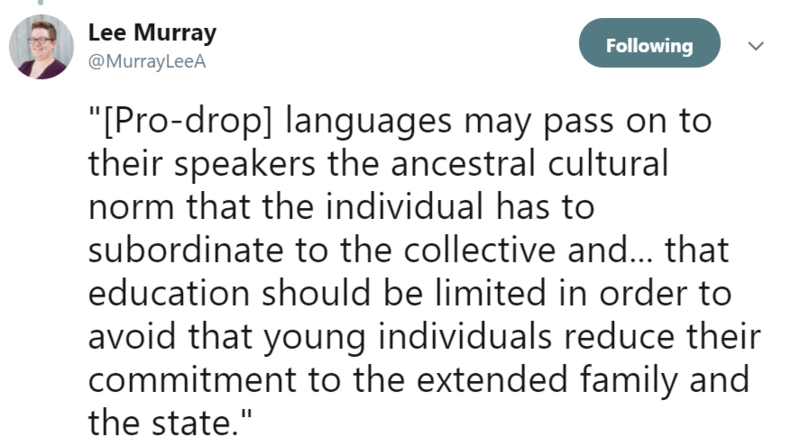 There were a lot of hot takes with linguists sashaying into Twitter for an opportunity to drag this quote unquote study. TL;DR: the study ignores current work in the field, doesn’t collaborate, uses sloppy methods, and arrives at biased results. This study by Horst Feldmann (2018) is not based on current research in linguistics. The “recent” research in that is referenced in the introduction is a baloney economics study from 2013 by M. Keith Chen. It was dragged in its own time for its interpretation of the now infamous Theory of Linguistic Relativity. Theory of Linguistic Relativity: This a nearly century old study that claimed that an individual’s thoughts are restrained by the languages they speak. It is also known as Whorfianism. A heck-ton of studies over the last 100 years have attempted to prove or disprove this theory. These days, linguists generally accept that language does or might have some effect on thought, but that we’re not quite sure how large that affect is or might be. I’m not going to get into it here, but if you want to learn more, get reading! Feldmann, like Chen before him, ran with what we call the strong version of the hypothesis. He boldly claims that “…language shapes speakers’ mental representation of reality…” which it doesn’t. If Feldmann had studied linguistics, he would have known that. @gretchenmcculloch compared this type of study to a linguist writing an economics paper. 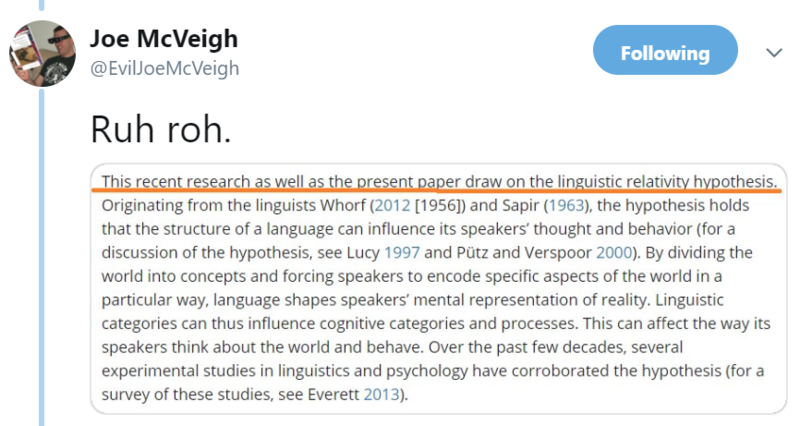 @sesquiotic pointed out that the study was not even co-authored by a linguist. He tweeted that the study has a “crib-toy use of linguistics” and that its chain of reasoning and supposition is patently problematic. 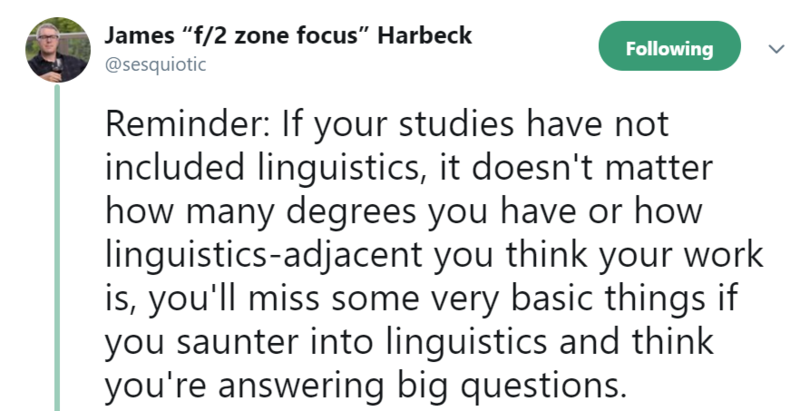 This is all a part of the invisibility of the linguistics field. 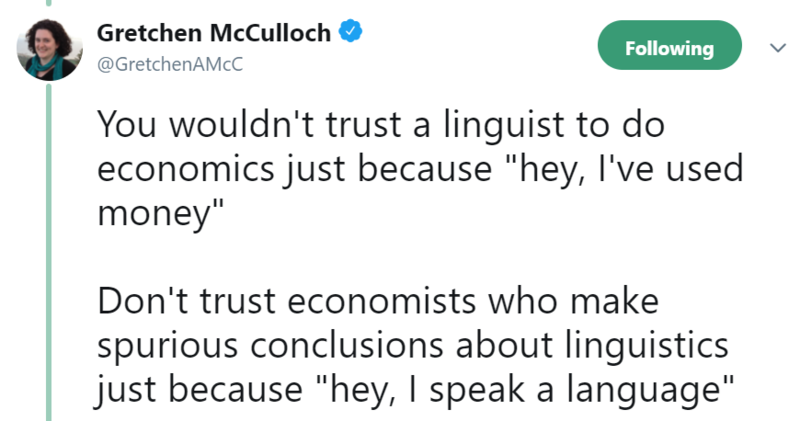 @adamCSchembri pointed out that somehow, linguists aren’t considered experts by academicians in other fields. The premise of the paper is that there are languages that license the dropping of the pronoun before a verb. That’s true. A common example is Spanish whose speakers could say “yo hablo” (I speak), but can use just the “hablo” part if they want. Ok, so that’s an incredibly overly simplified explanation, but that’s for another time. @sesquiotic: the study doesn’t include actual linguistics and makes some pretty big claims about linguistics. @eviljoemcveigh: the linguistics is garbage so regression methods, covariates, and other statistical decisions are uninformed. What do you get when you take an outdated hypothesis, add a false premise, and stir in some bad linguistics? Feldmann concludes that dropping a pronoun has a “negative effect of human capital” and that speakers of those languages have less education. Many people on Twitter were reminded of a similar conclusion by the Church of the Flying Spaghetti Monster in an open letter to the Kansas School Board. The thing is, if you’re not putting in solid research and defined linguistic variables, the conclusion is moot. Feldmann’s conclusion is punching down at countries with less access to education and claiming that no one’s to blame because language. But there are guilty parties in the disparities in education around the world. 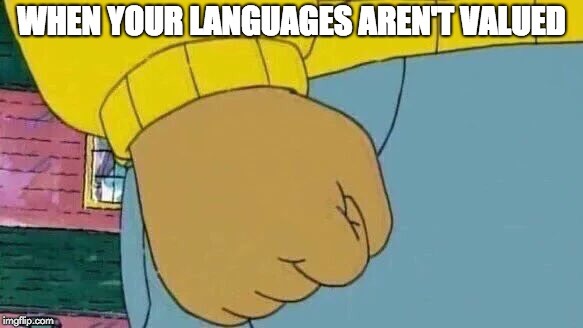 A linguistics website isn’t the best place to learn about them, but this paper isn’t just bad linguistics, it’s bad anthropology, bad economics, and bad statistics, bad research design, and bad critical thinking. This bish’s conclusion? Sashay away, Feldmann! Special thanks to Joe McVeigh (@Eviljoemcveigh), Lee Murray (@MurrayLeeA), Gretchen McCulloch (@GretchenAMcC), James Harbeck (@sesquiotic), and Nic Subtirelu (@linguisticpulse). Feldmann, Horst. “Do Linguistic Structures Affect Human Capital? The Case of Pronoun Drop.” Kyklos: International Review for Social Sciences, 8 Nov. 2018, doi:10.1111/kykl.12190. Chen, M. Keith (2013). The Effect of Language on Economic Behavior: Evidence from Savings Rates, Health Behaviors, and Retirement Assets, American Economic Review. 103(2): 690‐731. If you try to compare emojis to language, the closest you’ll get is word units. Of all the bits of a language, emojis are most similar to words, but language is so much more than a bunch of words. 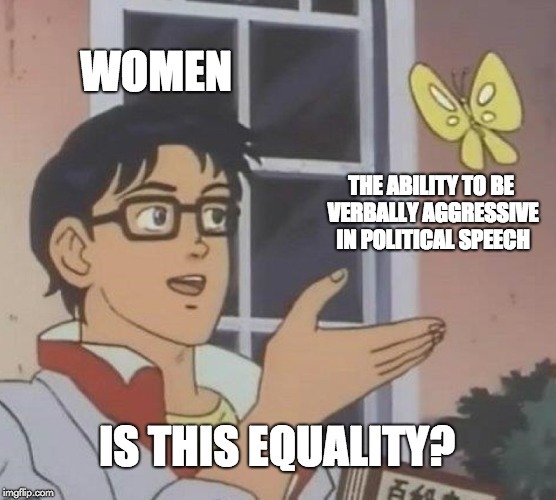 It has parts of speech and structure (and so many other things). Emojis often affect the tone of text or add a layer of emotion😏, but Lauren and Gretchen think that’s just a small part of it because their effect isn’t always straightforward. To compare emojis to words, they decided to look at the most used word sequences and compare them to the most used emoji sequences. They hypothesized that if emoji sequences are repeated they should be considered “beat” gestures, but what is that even? So gestures are a different type of communication🖐. 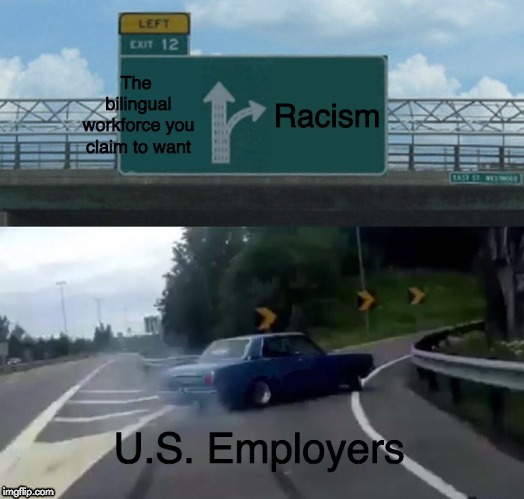 They are not a language and they don’t have grammar. One type of gesture is the “beat” gesture. It is characterized by its absence of meaning and its repetitive nature. You use beat gestures when you talk with your hands👐 and most gestures politicians make during speeches are beat gestures. However, when a really cool person bobs their open palms up and down in the air above their head, you know it means “raise the roof”, so this is not a beat gesture. It seems like emojis act the same way as beat gestures, often repetitive and often with no inherent meaning unless accompanied by words🤯. Then they used the Corpus of Contemporary American English (COCA) to check out word sequences to compare to the emoji sequences. The COCA contains around 500 million words from things like news outlets and websites👩‍💻. In the 200 most common word sequences, they found almost no repetition. The only time words were repeated, were in the cases of “had had” and “very very very.” However, these didn’t even make the top 200. And yes, that could just be because the COCA is formal and perhaps a corpus of informal language would have yielded different results. For example you might get instances of what linguists call the ‘salad-salad reduplication’ (2004) as in “it’s salad salad🥗, not ham salad or jello salad”. It’s the same as “OMG you like like them 😲? ?” or “It’s Saturday. Tonight I’m going out out💃,” but this bish is digressing. The point is, where words are very rarely repeated in a sequence, it appears that emojis are. You’re probably like, “but I send 2-4 emojis at a time and they don’t repeat.” Ya, you might, but I bet they’re pretty similar like 5 different hearts💝💘💖💗💓, or the hear-no-evil monkeys🙈🙉🙊, or allll the dranks🍾🍹🍸🥃🍷🥂🍺. So ya, sometimes they’re all different, but if so, they’re likely on a theme. But even though emojis can be more repetitive than speech or writing, most emojis occur next to words and not in sequences. Even where emojis occur without words, it’s mostly just one or two at a time and usually in response to a previous message. Guess who else usually partners with words? You guessed it, beat gestures👊! Maybe emojis and beat gestures should get a room already 👉👌😜. Basically the idea is just to shift the way we think of emojis. 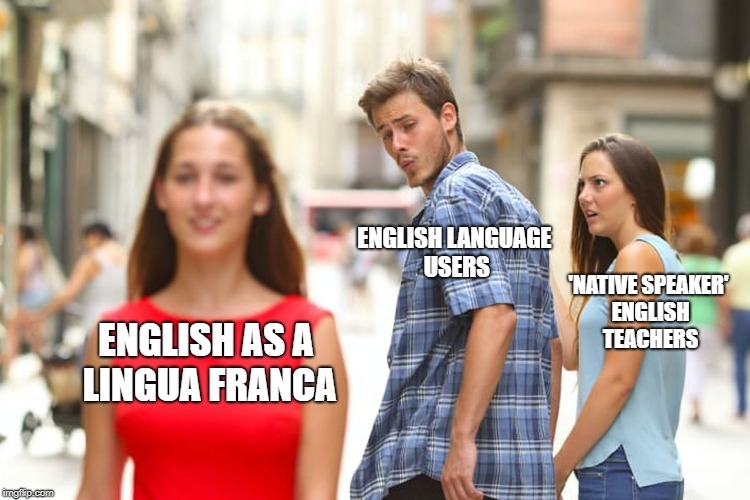 Thinking of them as a new language with grammar won’t get research far. Gretchen and Lauren might be on to something by considering emojis to be a type of gesture. 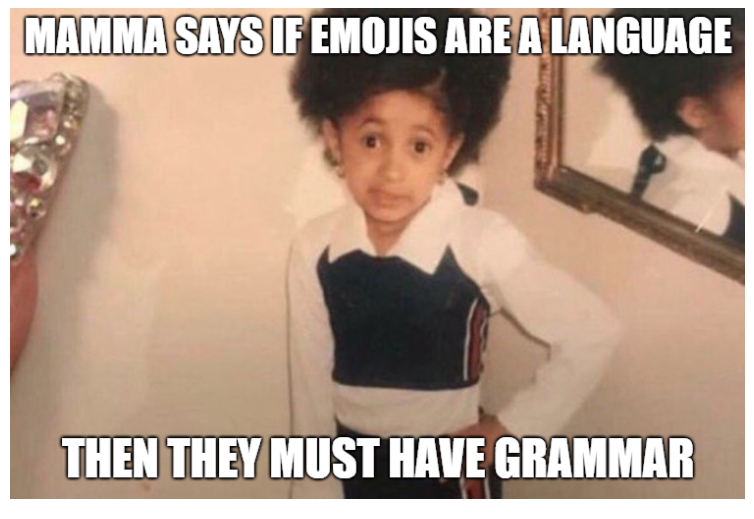 Emojis don’t have their own grammar, but they work with our written grammar. They add emphasis, just like beat gestures do with our spoken grammar. 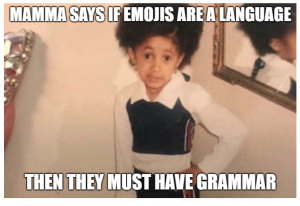 So, it’s unlikely that emojis can ever be a full language. If they ever start exhibiting structural regularities in corpus studies though, and start languagifying, I’m sure Gretchen and Lauren will be there to catch it. This paper is great for emoji bishes👯‍, anyone who texts📱, corpus bishes, and lingthusiasts👸🏻👸🏿👸🏼👸🏾. Ghomeshi, Jila, et al. “Contrastive Focus Reduplication in English (The Salad-Salad Paper).” Natural Language & Linguistic Theory, vol. 22, no. 2, 2004, pp. 307–357., doi:10.1023/b:nala.0000015789.98638.f9. One thing that’s always bothered me is the lack of language documentation in rural Canada. Studies of Canadian English represent urban areas. And look, I get it: rural Canadians are spread out thinly across the true north strong and free. Most people live in the urban centers and documenting Canada’s rural dialects would be kind of a big deal. But that means that any claims on “BC English” are about speakers in noVancouver and even though the population of the city is really diverse, linguistics studies there typically aren’t. 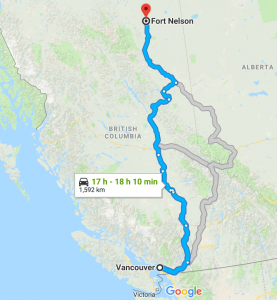 Google says it takes about 18 hours to drive from Vancouver to Fort Nelson. Even if these studies were more diverse, we’d be no closer to understanding how people in, like, Fort Nelson speak. And the thing about that that bothers me is that something like 20% of the population in Canada lives rurally. We don’t know what they sound like or what they’re saying to each other. All of that’s a rant for another time, but you might understand how excited I was when I can across Rebecca Roeder, Sky Onosson, and Alexandra D’Arcy’s paper (2018) “Joining the Western Region: Sociophonetic Shift in Victoria” which looks at the way some British Columbians who are not Vancouverites talk. While Victoria isn’t exactly rural, it is definitely not Vancouver and sometimes that’s enough. The purpose of this study was to try to describe the English in Victoria, BC, something this intrepid trio of scholars has been working on for a long time. They used certain linguistic features to conduct a study of language change over time. The participants were 14-98 years old and from diverse backgrounds. Speaking of backgrounds, can anyone guess where the first Final Destination was filmed? Victoria is sort of a mini Victorian-era England. It’s on what we call The Island, a short ferry ride or flight from Vancouver. It’s an isolated city of around 370,000 people. It was a Hudson’s Bay trading post in 1843 and became a city in 1862. It became the capital of the province in 1971. Private school teachers were imported from England right up to WWII setting the bar for the prestige dialect. And just picture this, I said it was on an island, right? Ya, well it didn’t get regular ferry service to the mainland until 1960. Even though there are now people who commute regularly to the mainland, I have met people who have never been off the island. And I didn’t know this, but the particularly British-y area of Victoria is referred to as the “tweed curtain.” It’s a small, wealthy community with a marina and tea shops (RIP The Blethering Place, tea shop of yore). One would think this modern history of isolation would have some effect on the dialect, no? Well yes, apparently there’s some kind of accent there though its features vary and the population that exhibits them is an aging minority. The inquisitive trio used the Synchronic Corpus of Victoria English (SCVE), part of the Victoria English Archive which is comprised of 162 interviews with primarily British-descended Victorians. The speakers range from 1st to 6th generation Victorian (14-98 years old). Some were even related. Ok so, the vowels in lit, #blessed, and sass (vowels kit, dress, and trap if you’re new to LinguaBishes) are produced at the same height in the mouth for many English dialects. “Height” refers to where your tongue is when you make a sound. In the Canadian Shift, the vowels in kit, dress, and trap started to lower sometime before 1950. This resulted in a really noticable change among baby boomers. The shift slowed down for Torontonians, but if you’re a Canadian woman under 40, then you might be as much as a generation ahead in the shift than guys you know. The Shift is more recent in Victoria, perhaps because of its relative isolation. Even though it started later, the youth speak really similarly to other Canadians, which means there was a whole lotta change in a little bit of time. Also because of this late start, older Victorians have higher vowels than their peers across the country. 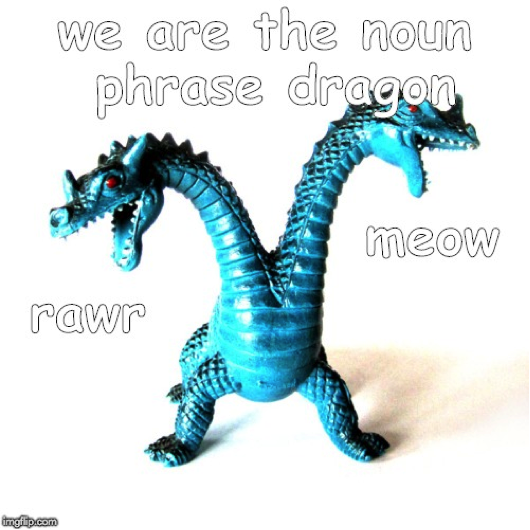 Y’all have probably heard, in Canada, we say bag [beɪg] not bag [bæg](same with dragon, wagon, and rag). Also, young Canadians in BC and the prairies do the same thing with ban. (See LinguaBishes Vowel Chart) In Victoria, ban and bag are at the same place regardless of age or gender. This shows that it’s probably a solid Victorian feature that’s at least eighty-five years old. A back-vowel is a vowel that you make with in the back of your mouth. Like in “Karen, that’s some hot goss.” Fronting means making the sounds more towards the front of your mouth. It is very common in British Columbia. Back-vowel fronting is a systemic process in Victoria. Your goats, your boots, and your foots seem to be pronounced slightly more in the front of the mouth by women. Yod Yod is the insertion of a y sound before a vowel. Tune is a great example. Yodders (many speakers of British dialects) pronounce the word like tyune or even chyune. In American English, yod is disappearing and in Canada, it is disappearing slower because it is considered prestigious. Contrary to previous research, this study found yod to be a stable feature in Victoria, but because it is appearing mainly in the word too, it could be another example of back-vowel fronting. When did the airport ever look like this? Our three linguists took their results and compared them to the Phonetics of Canadian English thing (PCE) compiled by Boberg (2008). They examined these features across “apparent time” which basically just means they took the age of the speaker into consideration. Their results were pretty close to Boberg’s PCE, but they found trap to be higher and lot-thought-palm higher and backer like Californian English. After world War II, the English school teachers stopped arriving in Victoria and regular ferry service started. Victoria opened up and experienced a quick population growth. This made is a ripe ground for dialect leveling or “phonological simplification.” This could have been when back-vowel fronting and the vowel shift happened. So Victorians, especially young Victorians, mostly speak the same as the majority of western Canadians. Basically anyone under the age of 80 speaks a variety that has leveled out to include the Canadian shift and back-vowel fronting. BUT the whole aforementioned yod situation shows that Victoria English is holding onto its history. That and the ban/bag raising are hold-outs that were probably unchanged throughout the 20th century. Whereas the low-back merger could have started in Canadian English around 150 years before it got to Victoria. 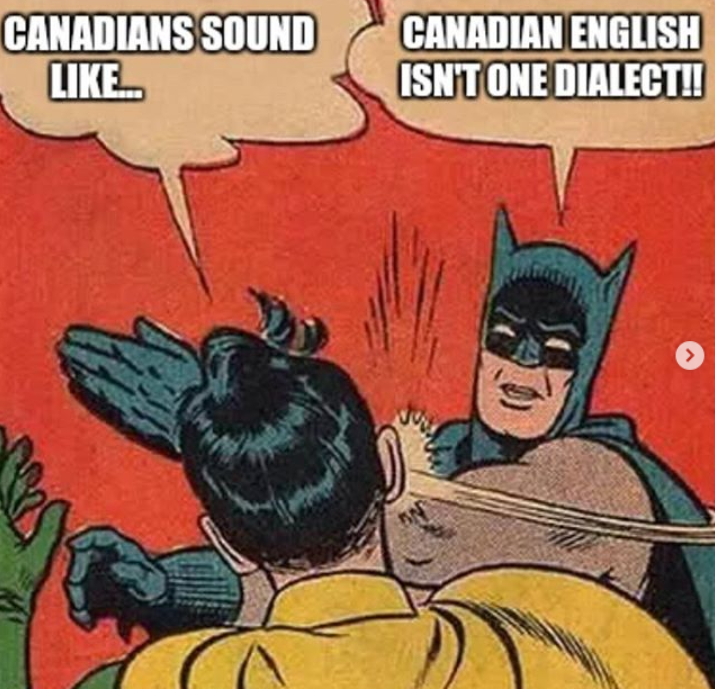 If that’s true, then Canadian English isn’t a single entity that progressed westward during expansion, but a multi-sourced group of dialects. To me, it says we need more surveys of the varieties of BC English from other areas around the province that aren’t Vancouver. This article is great for phonetics and acoustical analysis bishes, dialect bishes, Canadian bishes, and of course, Final Destination bishes. Roeder, Rebecca & Onosson, Sky & D’Arcy, Alexandra. (2015). Simultaneous innovation and conservation: Unpacking Victoria’s vowels.